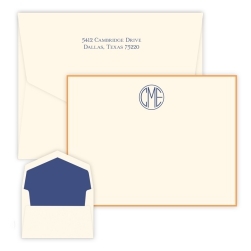 The Wheaton Monogram Note - Embossed features your choice of 3 unique monograms expertly embossed into our quality papers. 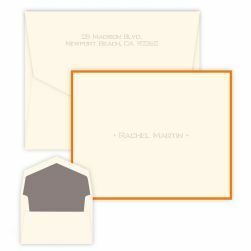 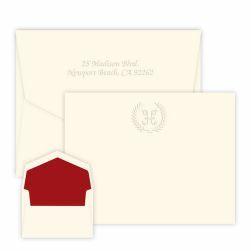 Consider adding the border color option to bring even more style to your new stationery set. 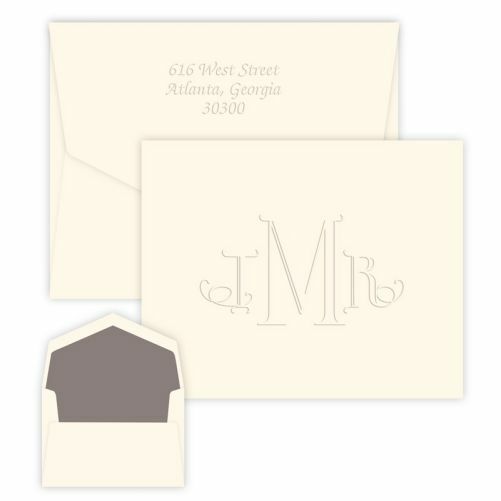 Wheaton Collection monogram choices include: Cervelli, Anthony, or Sand monograms. Paper Size: 4" x 5"